Harvard University Press, 9780674003828, 512pp. 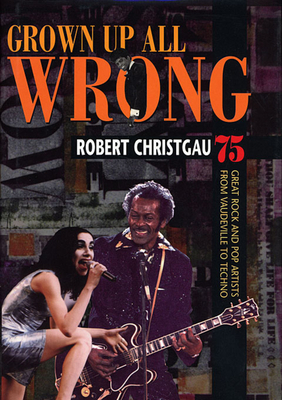 Two generations of American music lovers have grown up listening with Robert Christgau, attuned to his inimitable blend of judgment, acuity, passion, erudition, wit, and caveat emptor. His writings, collected here, constitute a virtual encyclopedia of popular music over the past fifty years. Whether honoring the originators of rock and roll, celebrating established artists, or spreading the word about newer ones, the book is pure enjoyment, a pleasure that takes its cues from the sounds it chronicles. Rock and punk and hip-hop, pop and world beat: this is the music of the second half of the twentieth century, skillfully framed in the work of a writer whose reach, insight, and perfect pitch make him one of the major cultural critics of our time.